Radio 68 plays the entire soundtrack to Peter Whitehead’s “Tonite, Let’s All Make Love In London”: the expanded version released by See For Miles Records. Some footage was shot at the “14 Hour Technicolour Dream”. In response to a police raid in March 1967 on the “International Times” offices, John “Hoppy” Hopkins (who passed away aged 77 on 30 Jan. 2015) mounted the “14 Hour Technicolor Dream”, a fundraising concert at Alexandra Palace. 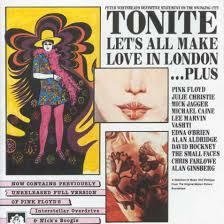 Peter Whitehead’s film of the event, Tonite Let’s All Make Love in London (1967), shows a dazed John Lennon wandering in the huge crowd, transfixed by Yoko Ono cutting a paper dress off a girl as Pink Floyd greet the the north London sunrise. Zombie Garden Club is, in fact, Toronto born JOHNNY DOUGLAS. Douglas has been around the music biz for a number of years having songs of his recorded by the likes of Gregg Allman and Jeff Healey. Douglas has shared the stage with legends like B.B. King, Jerry Garcia, Roy Orbison and Steve Cropper (of Booker T & the M.G.’s fame) but always gravitates back to his solo projects to quench his creative longings. The full length album released on Bongo Boy Records includes 14 original tracks written and recorded by Johnny Douglas under the moniker of Zombie Garden Club. Wat zouden we zijn zonder een goede portie Brits flegma? Net als Radiohead komen de heren van Sanguine Hum uit Oxford, en als er enige rechtvaardigheid in de wereld is, wordt Sanguine Hum even groot als de groep van Thom Yorke. 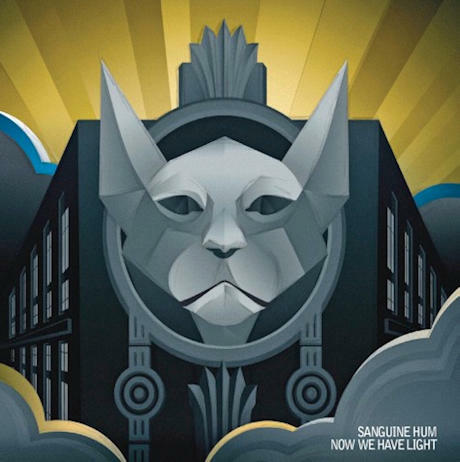 Iets speciaal dus… Op de draaitafel deze week: Sanguine Hum (Now We Have a Light), Kwoon (Tales and Dreams), Empyrium (The Turn Of The Tides), DeeExpus (Half Way Home), Nemrud (Journey Of The Shaman), Il Bacio Della Medusa (Discesa Agl’inferi D’un Giovane Amante) and The Watch (Planet Earth?). THE BYRDS will forever be remembered as the harmony singers of Jingle Jangle mornings. They were, as Barney Hoskyns rightly points out, “Dylanized Beatles”, David Crosby being a huge Beatles fan. Yet, they also experimented and adventured into psych land quite often, following the current trends, but also following the many creative sides of the strong personalities in the band. Listen to experimental and psych Byrds from their albums FIFTH DIMENSION (1966), YOUNGER THAN YESTERDAY (1967) and NOTORIOUS BYRDS BROTHERS.